What is Effective Problem Solving? The registration fee is RM10 for this Workshop. 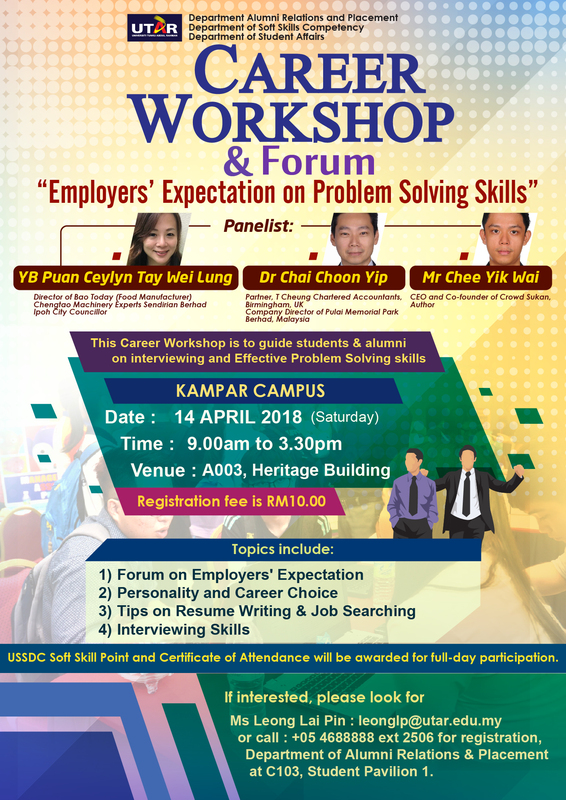 For more information, please refer to the attached poster and make your registration at Department of Alumni Relations and Placement office located at C103, Student Pavilion 1, Kampar Campus. For more detail, please refer to the attached poster.